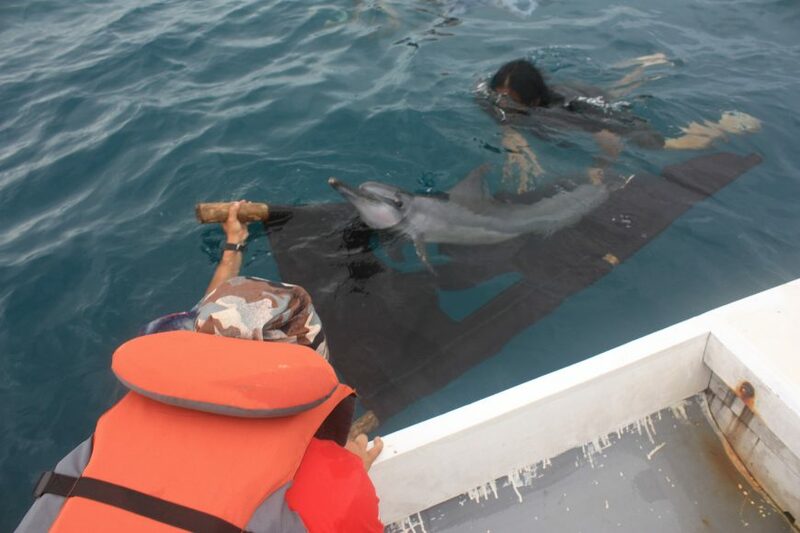 On December 15, 2017, Dolphin Project received reports that three recently-caught wild dolphins were being held at Menjangan Shark Pool. The attraction, located in Karimunjawa, Indonesia was known for allowing visitors to take “selfie photos” with sharks. 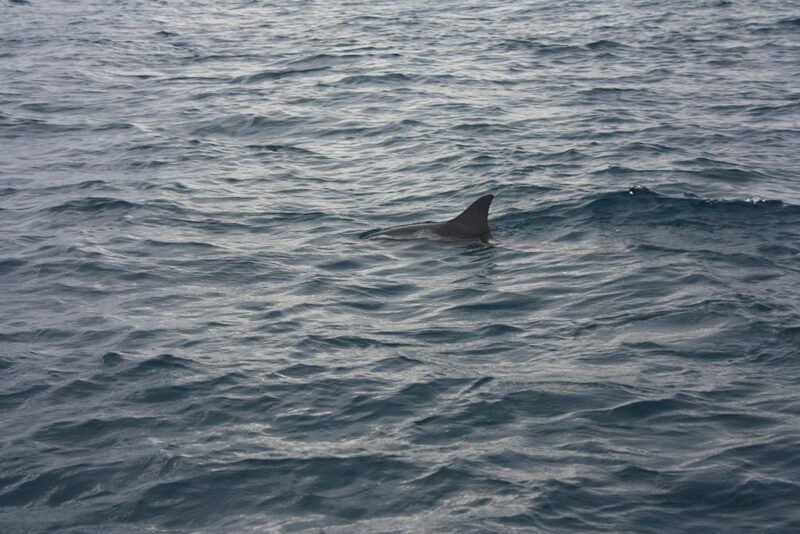 We quickly mobilized a team to visit the facility and discovered two spinner dolphins and a single bottlenose dolphin, all in extremely poor condition. The mammals were being held in shallow water, filled with over 30 reef sharks. 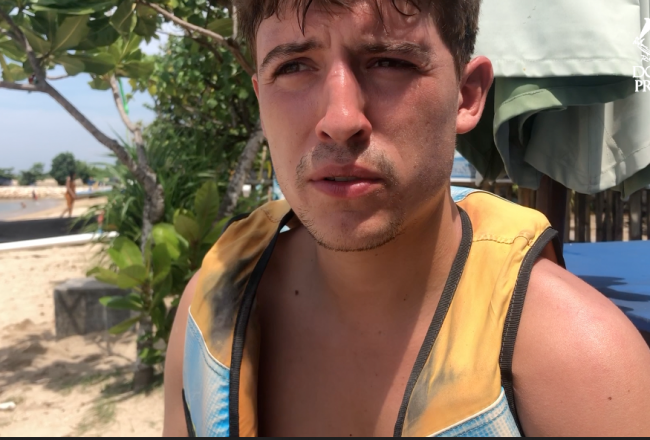 The bottlenose dolphin was covered in rope burns, lacerations and possible internal injuries, all sustained as a result of her violent illegal capture by local dolphin dealers and within hours, died. 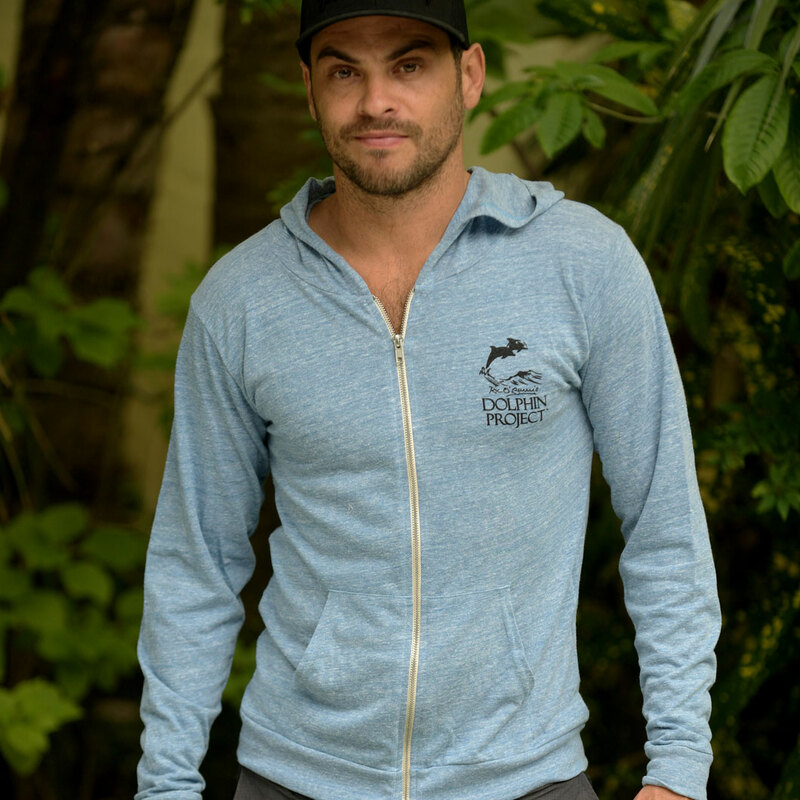 All three dolphins were to be sold to Indonesia’s barbaric traveling dolphin circuses. Spinner dolphins can be found in the shallow waters of Indonesia and are known for their acrobatic agility. 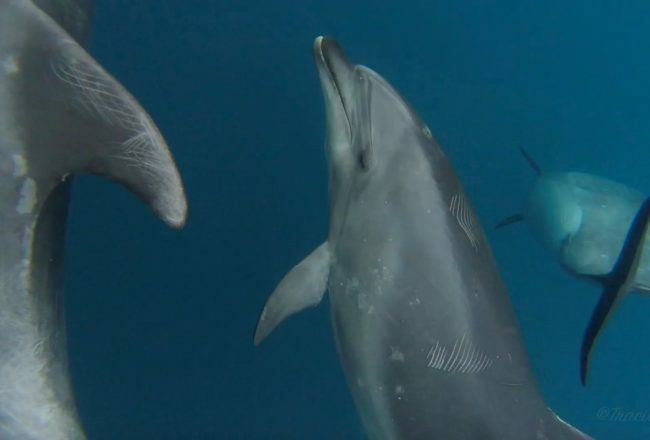 They are smaller than the more commonly-known bottlenose dolphins, but like all species of dolphins, are acoustically-driven. While their echolocation, or sonar, serves them well in the wild, guiding their navigation as well as helping to locate prey, in a sterile, captive environment this skill is virtually useless, creating a sonic house of mirrors. 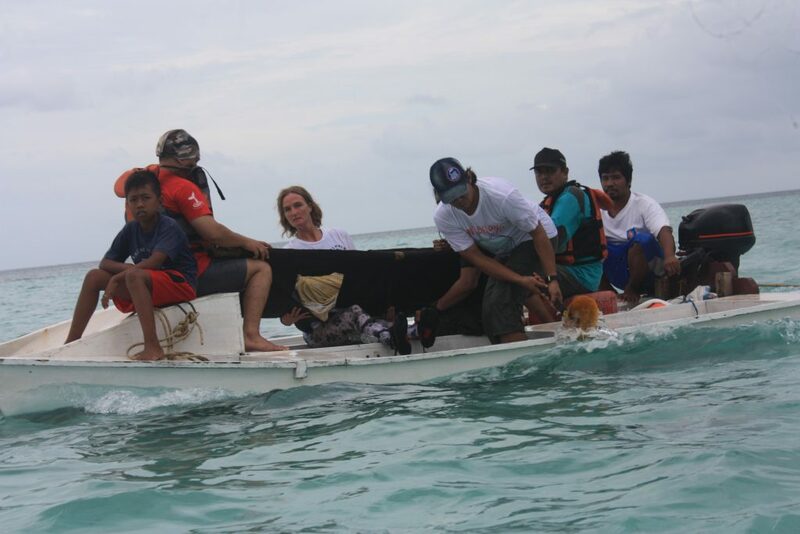 Dolphin Project’s Indonesian marine mammal team and the Jakarta Animal Aid Network led by Femke den Haas and Amang Raga, with assistance from the Central Java Marine Police, Karimunjawa Army Unit, Karimunjawa Navy Unit and Rangers of the Karimunjawa National Park moved quickly to confiscate the two remaining dolphins. 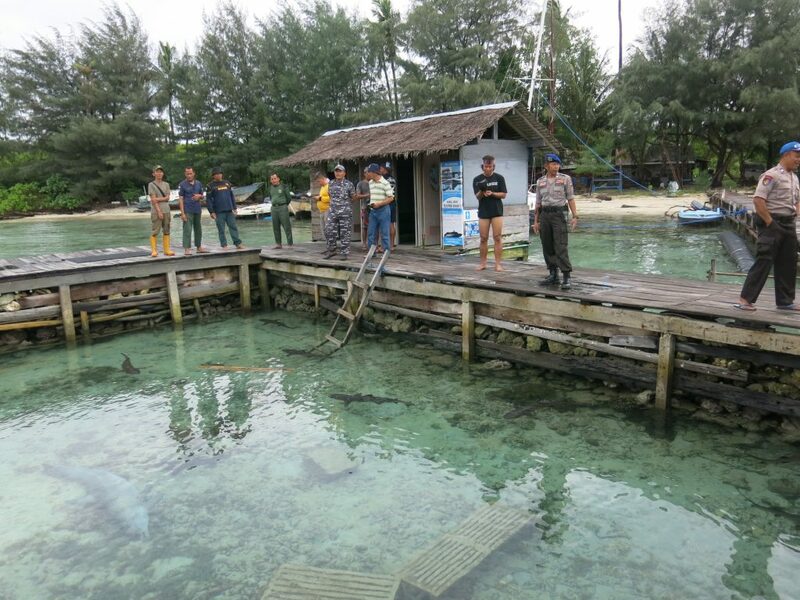 The dolphins – named by our team “Kari” and “Munjawa”, a male and female – were relocated via police boat to Camp Lumba Lumba, Dolphin Project’s permanent dolphin rehabilitation center, located inside the Karimunjawa National Park. Four days later on December 19, Kari started to weaken, and began swimming upright. At 8:00 a.m. the team moved him into the medical pool, providing hydration along with vitamins and other nutrients. The dolphin was released back into the sea pen but continued to deteriorate. The team assisted the dolphin in remaining horizontal but his breathing began to slow. There was nothing more that could be done, and at 11:00 a.m., Kari took his last breath. He too had been fatally injured during his capture: his tail flukes and pectoral fins were shredded, he was covered in rope burns and lacerations and he suffered from possible internal injuries. Munjawa, upon close evaluation by our team, appeared healthy and releasable. She had been very active up until this point, swimming well and echolocating. However, after Kari’s death, she stayed in one spot, unmoving. The team decided that the wild spinner dolphin was ready to be released. Indonesian Dolphin Rescue and Release from Dolphin Project on Vimeo. Munjawa was loaded onto a small boat and taken about a quarter of a mile away. The decision was made to release her in deep water far from the sea pen, should she keep trying to look for Kari. 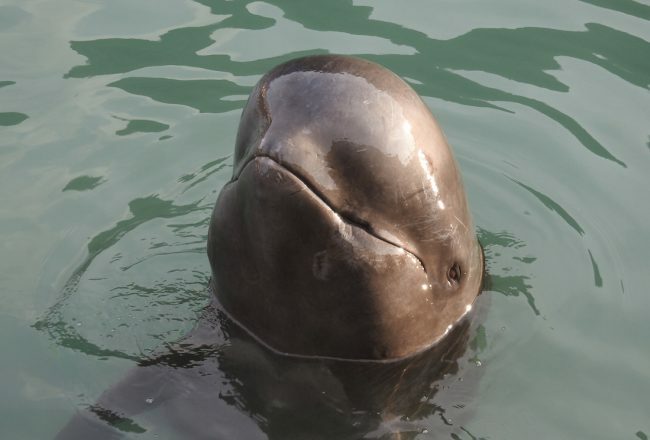 At 4:00 p.m. on December 19, Munjawa was released into her home range. 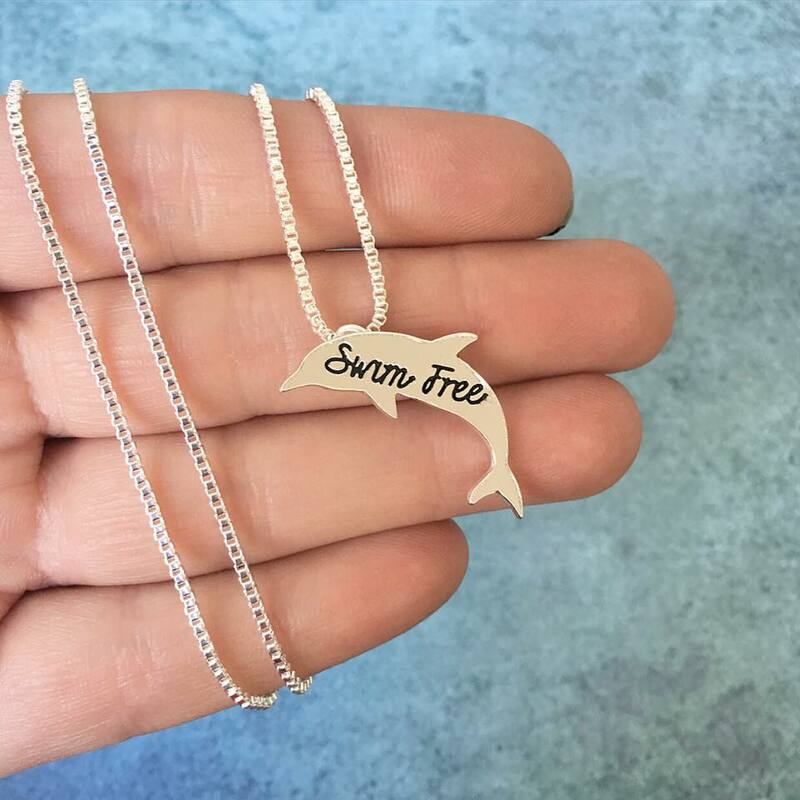 At first, she swam in a slow circle around the team’s boat, but once she realized she was free, she sped off towards the small island where she was first captured. Given the proximity of other spinner dolphins in the area, with luck, she would be able to rejoin her pod. 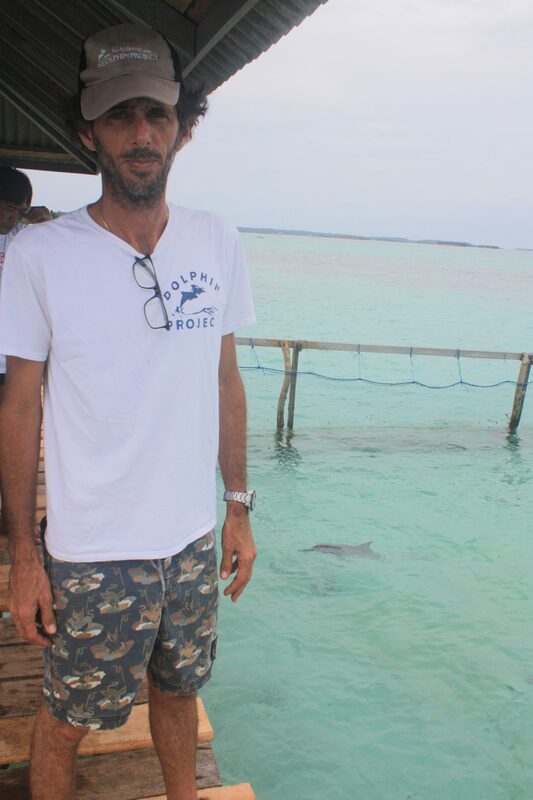 Dolphin Project would like to thank the national park authorities for their fast action, and for enabling the release of one spinner dolphin back into her home range. 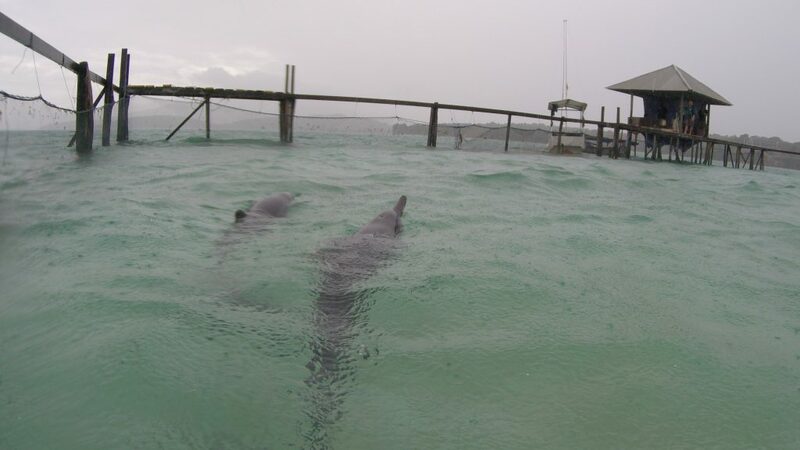 The three dolphins captured represent the first captures since Camp Lumba Lumba was built (2011). As dolphins are a protected species throughout Indonesia, our team will closely monitor the legal actions forthcoming against those responsible for these severe crimes. 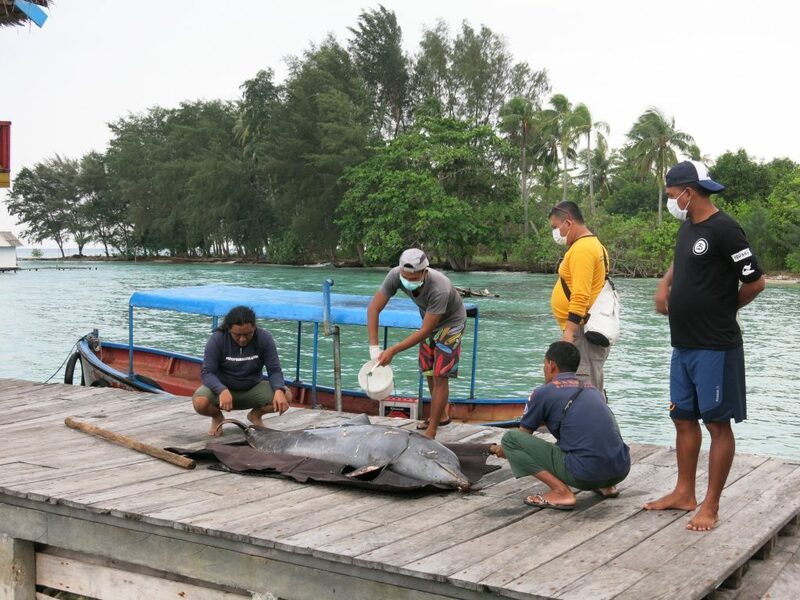 Camp Lumba Lumba – the world’s first permanent dolphin rehabilitation and release facility – was built in 2011 in collaboration with the Forestry Department and the National Park authorities in Karimunjawa. Its location is where captive dolphin facilities in Indonesia illegally capture their dolphins, in order to populate the barbaric traveling dolphin circuses. Camp Lumba Lumba enables the release of these captive dolphins back into the wild. Sign this petition to the President of Indonesia to shut down the traveling dolphin circus.